While we work to get the feed up and running, we continue to regularly monitor the cameras. 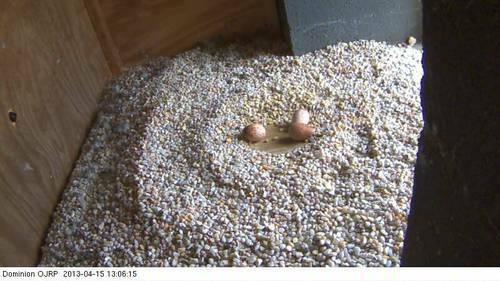 Earlier today we saw that another egg has been removed from the scrape. In the photos below the eggs are visible as the male (noted by the bands on his legs) relieves the female of her incubating duty. 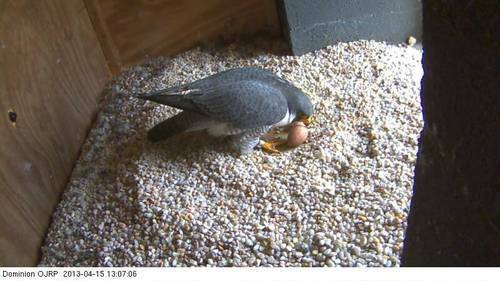 The three remaining eggs are being incubated and we hope to see signs of hatching over the next few days.